It’s Monday. Let’s do a giveaway, shall we? Remember how excited and captivated you were as a kid to see the movie ET for the first time? 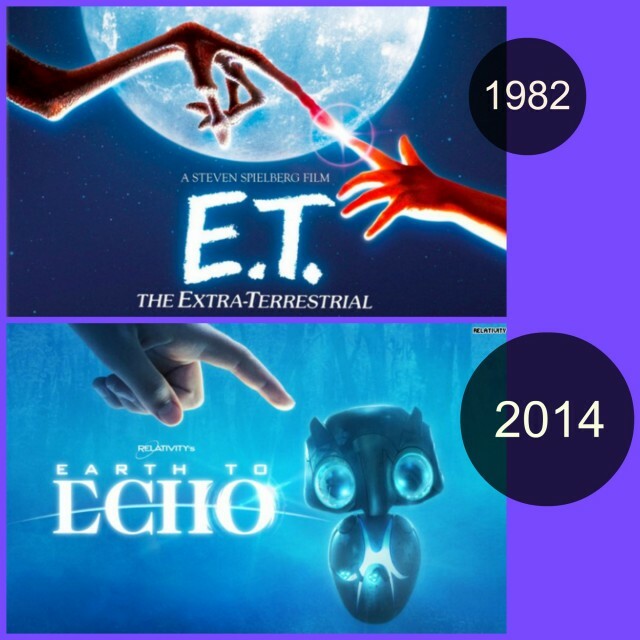 I can remember clearly that my neighbours had seen ET at drive-in show (oh, those were sooo cool!) and I was just bursting out of my skin for my parents to take me too. When we did go, I certainly wasn’t disappointed! Now, in 2014, we’ll be able to re-live that fun again … and introduce it to our kids! Earth to Echo is launching in theatres on July 2nd, but I have an advance screening package for 3 lucky winners, courtesy of Entertainment One Films! Now, go ahead and enter using the Rafflecopter entry form below! (But *please* — enter only if you are available to attend on Saturday, June 28th at 10 am. I don’t want the tickets to go to waste!) Winner will be selected randomly on Monday, June 23rd. Disclosure: In exchange for helping to promote this movie, I received for 1 prize pack for my family’s use. I am donating this prize pack to a silent auction to help a family in our Ottawa community. If you’d like to join in, it will be a fun pub night with a silent auction on June 21st. All details here: www.fightwithpower.ca. Amazing special effects, great story looks like fun for the whole family! My son loves leaning abut space. He would enjoy this adventure. because it has a cute little alien in it! My kids are all about adventure, technology and doing the right thing. They would LOVE this movie! I haven’t watched any trailers for this movie because the title and poster intrigued me enough and I didn’t want to spoil any of the movie. I have a feeling that it will be a great movie with good values/morales… So I’m looking forward to taking my family to see it. I’m not available on the 28th, so I won’t enter the contest – but it looks like a cool movie. Some awesome special effect! I remember when ET came out – ET phone home! It’s weird to think that Drew Barrymore was just a little girl in ET. and now she has two little girls!